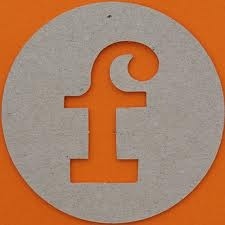 I am seeing the letter F a lot these days and sounding it out as I go through the alphabet with my son. F is for fish. F is for flamingo. F is for fox. F is for frog. F is for Felix (BIT). And this morning F is for French toast, frangelico and fairy floss. I love my French toast buttery, crisp on the outside and gooey and eggy on the inside. I usually use brioche but today I used leftover pannettone. I also had leftover fairy floss in the fridge; green pistachio fairy floss. It has a fine texture with a delicate nutty flavour and looks like it should be decoration for a fairy wonderland instead of an ingredient. Whisk all ingredients together and dunk slices in custard mixture until bread is soaked through. Heat 20g butter in pan and cook slices until golden brown each side. Keep cooked French toast warm in oven until ready to serve. 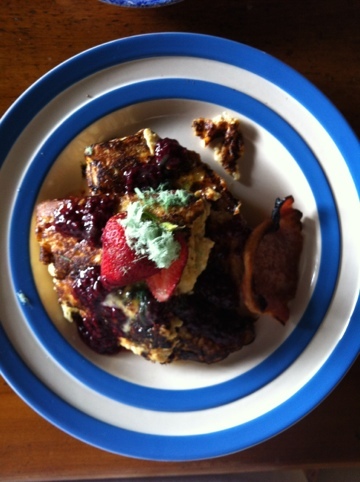 Plate up two slices each, sprinkle with raspberry , strawberries and maple syrup. Finish with fairy floss scattered over the top and serve immediately. Serve with crispy bacon if desired!